We can unravel history to determine how we got to the current normal, but it will be a better exercise to look at the cycles of unmanaged conflict that continue to redefine what normal really is. More importantly, we can look to a cycle of unmanaged conflict to better understand what the new normal might look like. There will be a new normal. There is a new normal. And there are two words that can help move us from a place of unmanaged conflict to one of managed conflict. We’ll get to those two words in a moment, but for now, let’s look at how normal gets reshaped by conflict. During my undergraduate education at Fresno Pacific University, I had the opportunity to study Conflict Management and Peacemaking. It was probably one of the best academic and life choices I ever made. It was during that time that I was introduced to the concepts of restorative justice, proper use of conflict and the unmanaged conflict cycle. The essay is born out of work done by Ron Claassen andDalton Reimer. This is the current reality. We’ll get back to this in a moment, because it will change and I want you to see how unmanaged conflict drives that change. Ever experience someone or something not living up to your expectations? Ever have an outcome suddenly surprise you? In situations like that, confusion and tension are created. We really don’t like it. We really don’t know what to do about it, but it does drive us to the next phase of the unmanaged conflict cycle. As the confusion and tension grows, we start to look for people who might be responsible. Some might call this the blame game. Often times, we look outside of our role in the situation. We just know that someone acted in a way that brought this on. Someone acted in a way that directly shortchanged the opportunity for expectations to be met. Someone acted the fool. 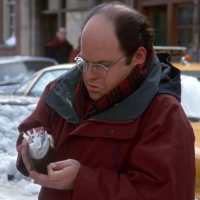 This is where George Costanza comes into play — more specifically, this is where his wallet comes into play. Injustice collecting is just that, collecting. This is not about speaking up or being heard. It is about taking the situation and placing it in your metaphorical wallet. Maybe you feel like it’s too petty and it can be swept under the rug. Maybe you feel like you are powerless and know it’s a battle you are not equipped to fight. Maybe you are just building a case. Regardless, we can all think of times we’ve added another injustice to our growing collection. Like George’s wallet, we can only hold so much. It happens. The wallet, our collection, explodes. Finally you have had too much and you cannot carry any more. It is no longer about a fear of being petty. It is no longer about a fear of being powerless. It is no longer about building a case. It is about confrontation. Get this, when you confront the person, you are not going to just address the most recent event or situation — the most recent instance of confusion and tension. You are going to go through you entire wallet. And you will want answers. One by one, you will confront the other party about every issue in the wallet. There will be too many for any one person to address. There will be so many that you won’t be able to adequately communicate your feelings about each one. Some are probably old — one of the first pieces of your collection. The person on the other end probably doesn’t even remember the early stuff. But you do and you want answers. The one being confronted looks at you are irrational. They are basing your explosion of passion on the most recent incident…not on your collection. They see your response as incongruent to the situation at hand. You try to paint a picture, but it’s not working. In the workplace it sounds like this: “I will work with them, but I don’t have to like them.” In other relationships people use the phrase “Let’s agree to disagree.” In societal situations, we reestablish a willingness or degree or future engagement. Both sides are exhausted from the confrontation. Neither side has any deeper level of understanding. Neither side, at this point, is interested in a deeper level of understanding. The adjustment allows each side to create protection. It is a wall, a divide, a new set of rules and a creation of a new normal. We’re back to the beginning again. Look familiar? Kinda. The players are the same. Their attitudes are a bit different. The new normal is just there waiting for the next instance of confusion and tension. This is not a panacea. It is a place to start. At the point confusion and tension set in, at the point expectation are not met, try speaking those two words. Don’t jump to role dilemma too quickly. Let the confusion just exist. I’ve found that those two words actually open up conversations. A conversation is a good place to start. There are situations where people are malicious and mean; however, there are situations where a deeper conversation can lead to a deeper level of shared understanding. Admitting to confusion early shows humility and vulnerability at a point in the cycle those two things are still relatively safe. 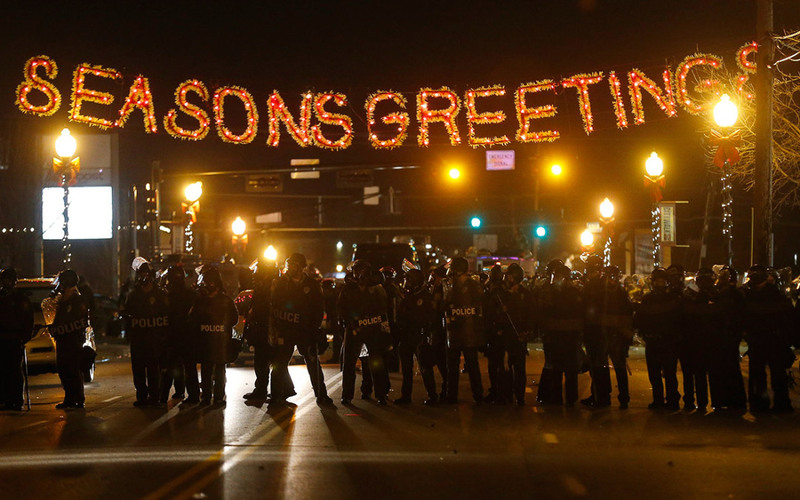 The outrage in Ferguson and around the country isn’t an incongruent response. 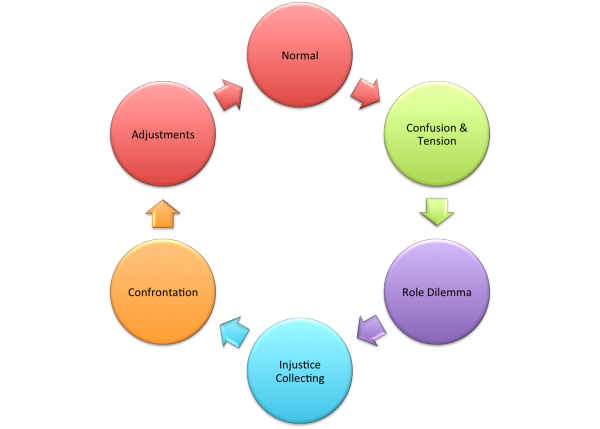 It is confrontation after a long period of injustice collecting and adjustments are being made. Barriers, walls, and revised rules of engagement are defining the new normal. We will face confusion and tension again, let’s be ready to admit how freaking confused we are when there is a disconnect between expectations and reality. At this point people are seeking justice. I urge people to seek restorative justice. Let’s not demand retribution or even reconciliation. Let’s seek restoration. This essay was originally posted on Medium.